The sun lights up the peaks at Schwabacher's Landing in Grand Teton National Park, Wyoming. This pond was created by a beaver dam. 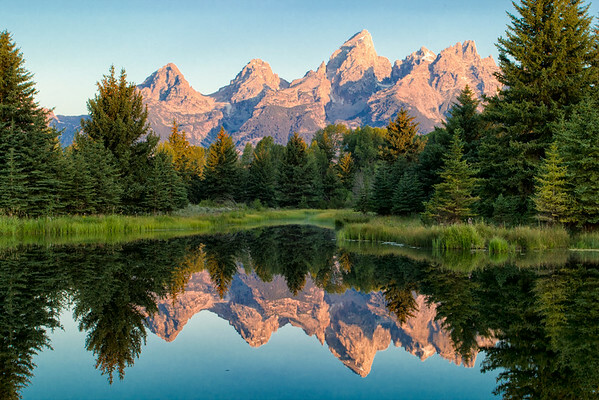 With no wind, the water reflected the Teton's beautifully. I shot the photo in July so there is little snow on the peaks. I'd really like to shoot this in May or September for the snow.